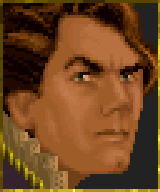 King Gothryd is a Breton noble and ruler of the Kingdom of Daggerfall. Gothryd ascended to the throne upon the death of his father, King Lysandus, during the War of Betony. Queen Aubk-i is his wife, Mynisera his mother, and Nulfaga his paternal grandmother. There is an insinuation that Gothryd may have been complicit in his father's murder, though the extent of his possible involvement is unclear. Gothryd can be found in the throne room of Castle Daggerfall. Those in good standing may be asked to perform some tasks for him. This page was last modified on 13 August 2018, at 13:08.